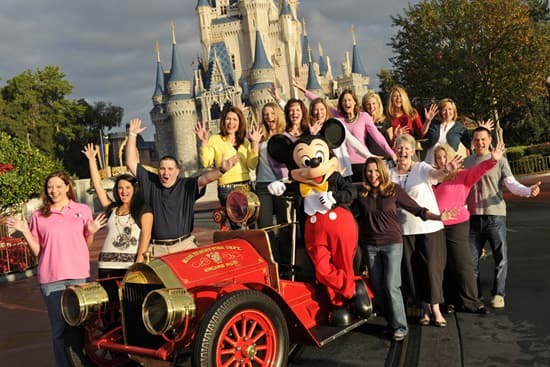 The search for the 2013 Walt Disney World Resort Moms Panel begins in September. Stay tuned. That is all. I can’t wait to apply and hopefully get in so I can continue giving great advice to all the military families out there who are looking for awesome Disney Vacations! Thanks for your updates. 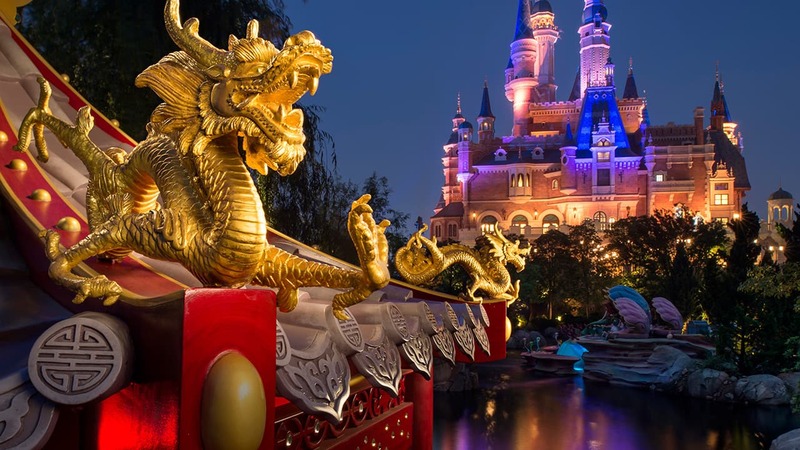 Excited to learn more about your International Travelers panel addition to expand your reach around the globe…it’s a big world and “It’s A Small World” too! I was in Tokyo recently and had a great time at Tokyo Disney Resort with a friend and her daughter. The TDR character popcorn buckets are so cute! We already have plans for October to visit Tokyo Disney Sea. Having grown up going to and loving all things Disney, it has been a blast enjoying the Disney Parks and Resorts with our children and family, and now and even bigger blast with the grandchildren in tow. Looking forward to learning more! I’m so excited. I’ve read all the comments so far and boy! can I relate! I talk Disney EVERYDAY and would be so in love with being chosen by Disney to keep doing it!!!! I’ll be throwing my hat in the ring again!!! This is a job I could totally do, and I fit all the requirements, the only problem is, I’m not a “Mom”. I’m a university student. But, I’ve taken my younger siblings to the parks by myself, and I think it would be helpful to get opinions on what teens might like from a REAL teen. Chances are pretty low I’ll get accpeted on to the panel, but the hope is alive! Hi Laura! I am so excited to throw my hat in the ring again this year! September cannot come soon enough! I could talk Disney every single day, and I do! I’m certainly looking forward to applying this year. Perhaps this will be my year. I am definitely a type-A planner myself! Can hardly wait!!! Looking forward to it!! I am the “Disney Girl” ready to help others plan their magical trips!! Can’t wait for the search to begin! Will be in the parks in September! It’s the most magical place on earth for this Disney girl! I am so excited about this year’s panel search! Disney is my escape place and I want that for others so badly! I didn’t discover Disney World until I was 34 years old. I know there are lots of adults who don’t know what they are missing and I want to help them! Is it sad I’m checking the page DAILY to make sure I don’t miss anything for this year?? I have been enjoying every year of Mom’s Panel and can’t wait to be a part of their world! I would love to apply. How do I do it? So very excited to hear this! We will be at WDW in September, so you better believe I will have my laptop with me! I have dreamed of being a “Mom” and helping others with my “Disneypedia” of knowledge to make their experience the most magical ever! Here is to wishing this is the year! So exiciting! I love planning Disney trips for my family and often plan for family and friends too! I will apply again this year as well. Good Luck to everyone! Woohoo! This is always so exciting…and has been such an incredible adventure for me over the years. I am so happy to have become a part of the extended Disney Moms family and cannot wait to throw my ears into the ring and try for a panel position once more. Pixie dust to all! Good luck Lucinda and to all the folks with pixie dust running out of their pores!!!!!! Do you have to be a Mom? I’m DYING to be on this panel but have no children. Nope. Just and incredible knowledge of Disney Parks, the kind and magical spirit of a light fairy and the PASSION to share what you know. If you have been planning Disney Parks vacations for other people for years, you are what we are looking for. Good luck. Many apply, but few make it so I’m rooting for every last one of you. Do me proud with your applications. No typos, be clear and show us who YOU are. The panelists all have different talents and that’s what we are looking for passionate Disneyphiles who can’t stop talking Disney whether they are on the panel or not. Good luck! Excited for the opportunity! May each of you have the chance to follow and realize your dreams! You can ask the Dads on the panel, you automatically get 45 new sisters. You end up being “one of the girls” and there is some purse holding while they shop. I’m just sayin’. . . But I will tell you down to the last Dad on the panel, they love every minute of it, shoe shopping and all! Good luck! I’m so excited! I’ll be applying for the fourth time. We’ve been to Walt Disney World 17 times in the past 15 years and went on a Disney Cruise in May, 2012. Our kids have, literally, grown up going to Disney. I can still remember Hunter toddling down Main Street and Lacey racing along to keep up with him. John and I celebrated our 25th wedding anniversary there and my 78 year old mother has taken trips with us as well so we’ve made tons of memories at Walt Disney World. I can’t think of a better vacation destination than Disney. This will be my fourth time to apply for a spot on the Disney Mom’s Panel. Since we’ve traveled to Disney at various times of the year with a one year old, a toddler, a pre-teen, teenagers, newlyweds and a senior, I think that I’d have a good bit to offer to the Panel. Lisa, save all that good stuff for the application LOL! Good luck! You know we will all be watching for more details! Lori has done such a wonderful job in the runDisney position this year. She really has been a great addition to the team. I loved chatting with her at the Princess Half this year. I am looking forward to applying for the panel and going Dopey at marathon weekend! Thanks for all you and the panel do for the guests! Isn’t it great having the Specialty Panelists? It’s like you have your own private Julie McCoy for your Disney Vacation. Opps. I just dated myself. I’m only 23 years old. Who is this Julie McCoy LOL! This is so very exciting! Can’t wait to be a part of this application process!!!!!! I can wait. I know people don’t believe it, but I read A LOT of the applications myself. Eyes hurt just thinking about it LOL! See my note note to Renee and Mindy above. Thank you for sharing this information, I am so excited to apply. It is so obvious, the enthusiasm and joy your post generated and so many Disney moms out there with vast experience. What strikes me the most is not only the valuable help that your Panel shares with people but the friendships and bonds within the Panel members themselves. It would truly be an honor to be part of such a special group of people. Hi Jackie! Girl, you gotta stop calling me Ms. Spencer. That’s my mama. I’m just Laura or “Pinky” to my Spanish-speaking friends. Thanks Laura for the update. I will continue to watch the blog and forum closely for more details. I DEFINITELY will be applying again this year! I am SO excited! Last year, the application week coincided with our annual Walt Disney World vacation with our grand-daughter, so I applied from on-site. I LOVE talking about and planning Disney vacations with everyone! Currently, I am also planning our next 6 Disney vacations over the next 14 months. DISNEY is in my soul and has been for over 40 years! Pixie dust to everyone that is applying! You are a trooper! Did you bring your laptop on vacation with you LOL! Best of pixie dust to you this year! And why is this your first year applying? Don’t be scared! It’s a fun process and the friends you meet on the blogosphere during the application period make it worth it even if you don’t reach the finals! Good luck to you! As an active participant of the Disney Parks InsidEARS website, I enjoy learning from Community Managers Kelly snd Marissa snd sharing all of their wonderful information and helping my friends plan their Disney vacations. I would wholeheartedly LOVE sharing and answering questions from Guests through the Walt Disney World Resort Moms Panel! I LOVE Marissa! That’s my girl!!!! Good luck! Some of my favorite words. Add “wishes” and “dream” and I could just bathe in those words! I honestly live by them. Good luck my fairy!!! Remember. Be yourself. Good luck!!!! I hope it wasn’t a YouTube video where my hair was a mess LOL! Good luck! Yay! Another reason to think about Disneyworld and the joy it gives me and so many others! And I get to meet you if you make it!!!!! Win Win! Good luck! See my note to Renee from MS above. If you are in this amazing group of people called “Disneyphiles” you have all the info you need to know! Got all twitterpated just thinking about applying again! Here’s hoping our fairy godmother wands have enough oomph and our pixie dust pouches are full enough to make the cut this year!! Best of luck fellow Moms & Dads! “Twitterpadded?” Girl are you making up your own language LOL! Me too! I hope you have the pinktastic right stuff this year! Good luck Princess! Love the Walt Disney World Moms Panel. Looking forward to applying! I will be dropping hints about the date. You gotta Be. On. It. Hint. Don’t let the moment pass! Umm. If you read my bio (stage whisper) so am I. . . .
Gals AND guys. Don’t forget our handsome crew of Moms Panel Dads. Come on men! Join the pink! It is the most wonderful time of the year… best of luck to everyone! It’s the most wonderful time of the year! With the pixie dust spreading and everyone telling you be of good cheer, it’s the most wonderful time of the yeeaaarrrr! Well, I don’t sing as well as Andy Williams, but you get the idea. Hoping 2013 is my magic year! You already have magic. Es en su corazon. The charm is in the fact that you probably are already spreading pixie dust. I can honestly tell you that a HUGE number of applications I have the right stuff. It kills me I have to narrow it down to just a few every year. Tell me more! I would LOVE LOVE LOVE to be a WDW Moms Panel mom!!!! If you are a certified, dyed-in-the-wool passionate master Disney Parks planner, then you already know the details! Let the pixie dust fly! Best of luck to all the hopefuls for 2013! And to you! Pixie dust is flying already girl!!!!! I’m looking forward to another year of applying and cheering on all the wonderful friends I have made through this process. Moms Panel Monday: Go Team! Moms Panel Monday: Start Your Engines at Disney California Adventure Park!